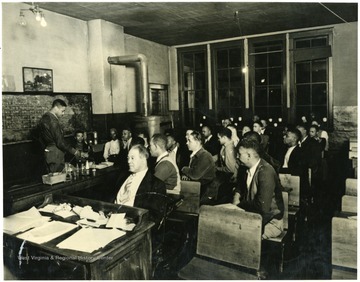 The first mining class being taught by U.G. 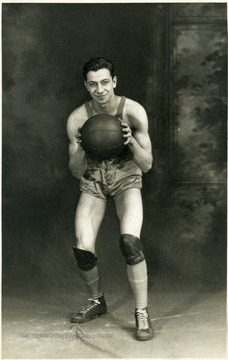 Carter in Logan County, 1938. First class in 1938, Logan County, Omar, W. Va. Employees of W. Va. Coal and Coke Co., Sydnor supt. Before becoming certified, miners must pass state examination. 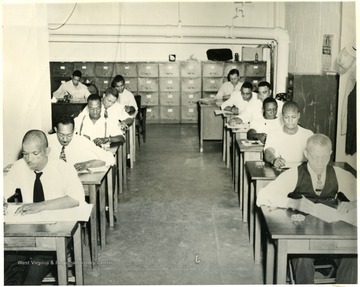 Shown here is a group taking the examination at the state capitol, which may certify them as Mine Foremen. U.G. Carter, instructor on the left in the back. Marvin Kesler, state mine examiner on right in back. 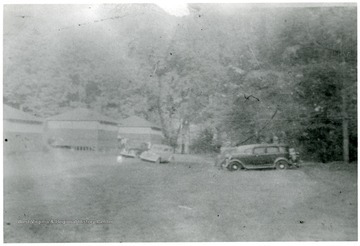 View of camp facilities and cars parked nearby. 4. Progressive Mine Workers of America Anthracite Organizers, District 9, Shamokin, Pa.
Progressive Mine Workers of America Anthracite Organizers, District 9, Shamokin, Pa.
Group portrait of anthracite organizers of the P.M.W.A. 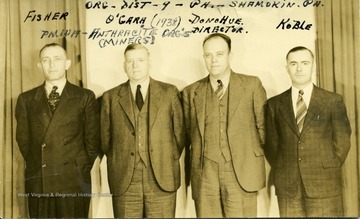 'Org- Dist - 9 - Pa. - Shamokin, Pa.' From left to right, Fisher, O'Gara, Director Donohue, Koble. 5. First Consitutional Convention, P.M.W.A. District 5, Madisonville, Ky.
First Consitutional Convention, P.M.W.A. District 5, Madisonville, Ky.
A group portrait of the First Consitutional Convention, PMWA District 5, Madisonville, KY.
6. 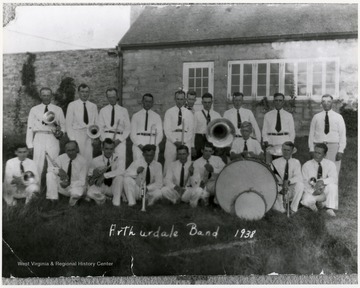 Arthurdale Band, Arthurdale, W. Va.
Arthurdale Band, Arthurdale, W. Va.
Group portrait of the Arthurdale Band in 1938. 7. 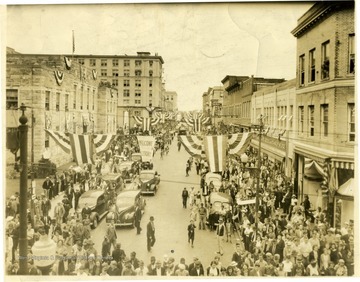 100th Anniversary Festivities, Beckley, W. Va.
100th Anniversary Festivities, Beckley, W. Va.
9. 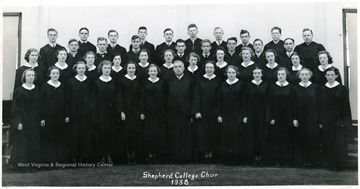 Shepherd College Choir, Shepherdstown, W. Va.
Shepherd College Choir, Shepherdstown, W. Va.
Group photo of the Shepherd College Choir in robes. 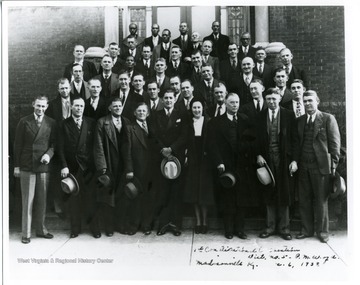 Only identified member is Melvin Tracy Snyder, top row, 6th from the left. 10. 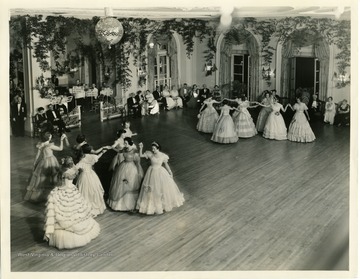 Lee Monument Ball at the Greenbrier Hotel, White Sulphur Springs, W. Va.
Lee Monument Ball at the Greenbrier Hotel, White Sulphur Springs, W. Va.
11. 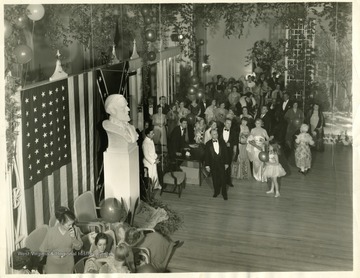 Unveiling of the Bust of General Lee at the Greenbrier Hotel, White Sulphur Springs, W. Va.
Unveiling of the Bust of General Lee at the Greenbrier Hotel, White Sulphur Springs, W. Va.
12. First Annual Greenbrier Music Festival, White Sulphur Springs, W. Va.
First Annual Greenbrier Music Festival, White Sulphur Springs, W. Va. 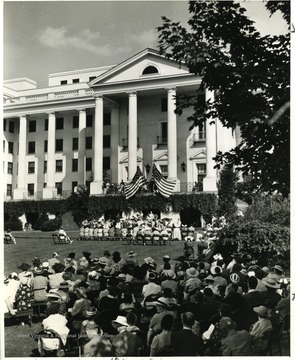 Participants and audience for the first annual Greenbrier Music Festival held on the North Lawn of the Greenbrier Hotel.